New Year’s Eve in Philadelphia | Geno’s Steaks | Philadelphia, Pa.
New Year’s Eve in Philadelphia is one of the best times of the year. Our already lively night scene becomes even better – it seems like everyone is out ready to celebrate the New Year. With so many events and parties available, how do you pick the right one for you? SugarHouse Casino: Why go to Atlantic City when SugarHouse Casino is in Philadelphia? Ring in the New Year with an open bar, appetizers, live music, complimentary champagne toast, and other festivities. As an added bonus, the casino will have a fireworks display over the Delaware River. 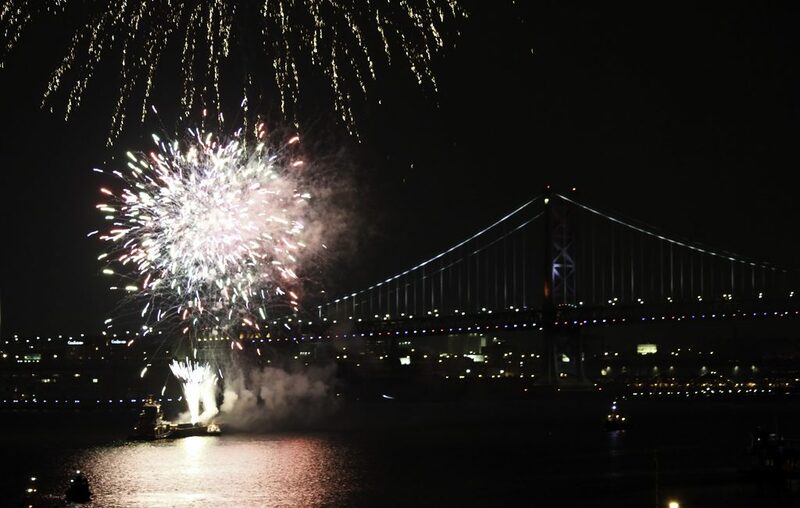 Check it out at SugarHouse’s private viewing area or head down to Penn’s Landing at 6 p.m. on December 31 and midnight on January 1, to catch the 15-minute fireworks show! XFINITY Live! : Back for another year, NYE Live! at XFINITY Live! gives attendees access to five different bars, each with different drinks and atmospheres, in one spot. Tickets include a premium drink package, buffet, live music, dancing, and a champagne toast. There’s even a Geno’s Steaks in XFINITY, so you can grab a cheesesteak! Yakitori Boy: For those looking to spend their New Year’s singing the night away, Yakitori Boy, Chinatown’s most popular karaoke bar, is the place to be. Not only will there be plenty of opportunities for karaoke, there will also be a DJ and party favors to help you welcome the New Year. There are different packages available, each with additional perks, so there’s something for everyone! Stratus Lounge: Located at the Hotel Monaco Philadelphia on Independence Mall, Stratus Rooftop Longue will host A Midwinter Night’s Dream, a great even where you can party well into the New Year. With a five-hour open bar, music, and dancing, it’s the perfect place to kick off the start of 2017. These are only a handful of the great events on New Year’s Eve in Philadelphia! There are so many wonderful parties and events, which is one of the benefits of our great city. Once you’ve wrapped up your celebrations, catch a cab to Geno’s Steaks and enjoy any of our tasty sandwiches!